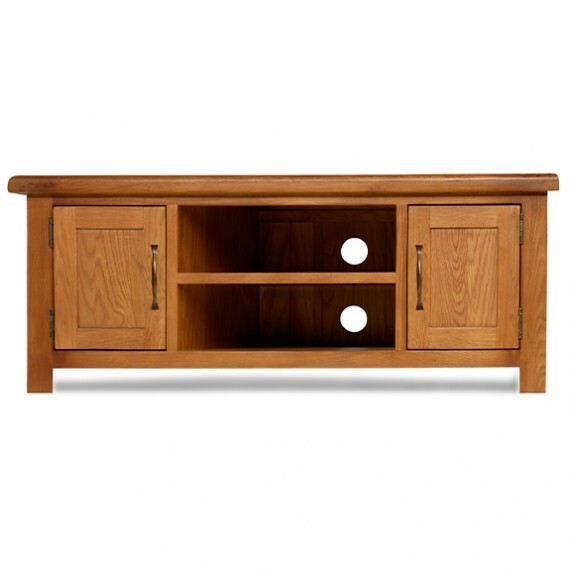 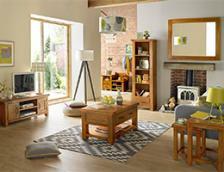 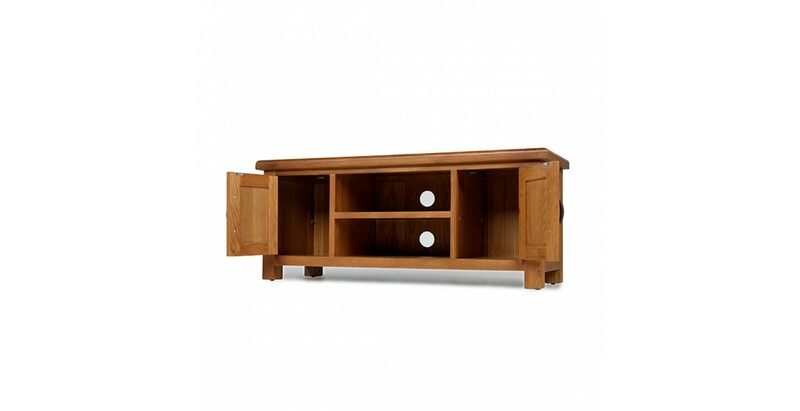 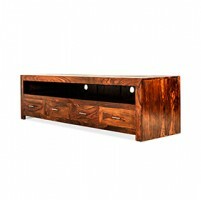 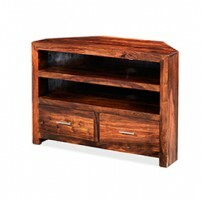 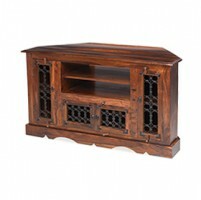 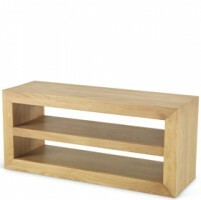 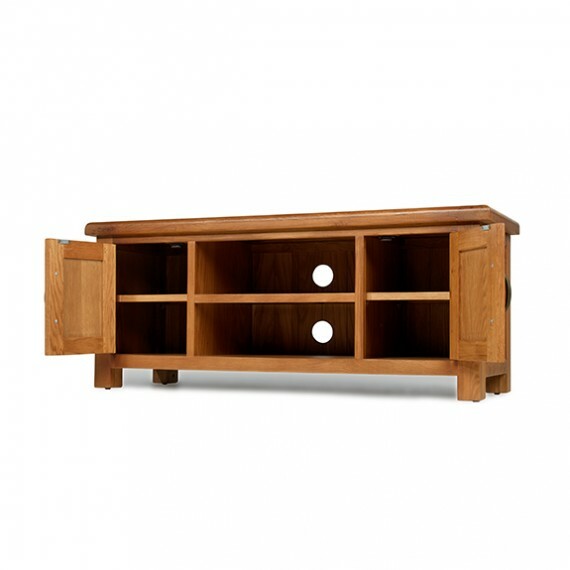 Not just a TV stand, this is a beautiful piece of furniture that will add warmth and style to your living space. 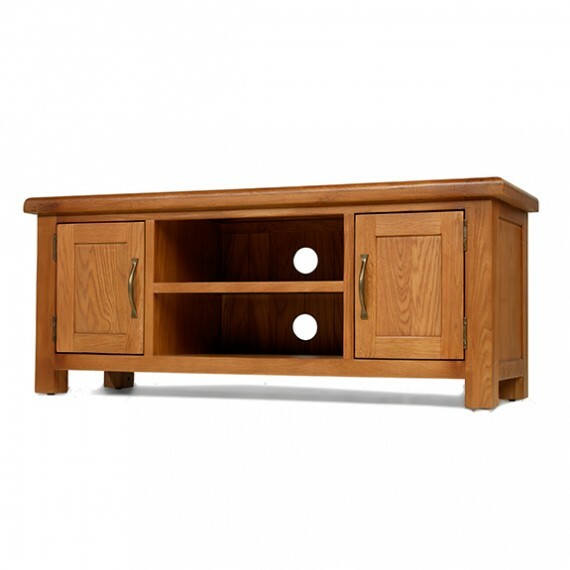 Expertly crafted from oak, its simple lines and timeless rustic appearance make it an ideal choice for all kinds of decors. 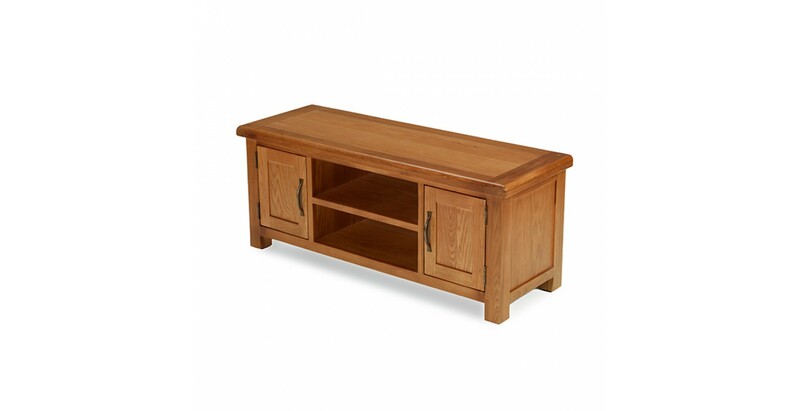 The large, extra-thick top with softened corners has ample room for your widescreen TV and there's plenty of room too for your media equipment on the two open shelves. 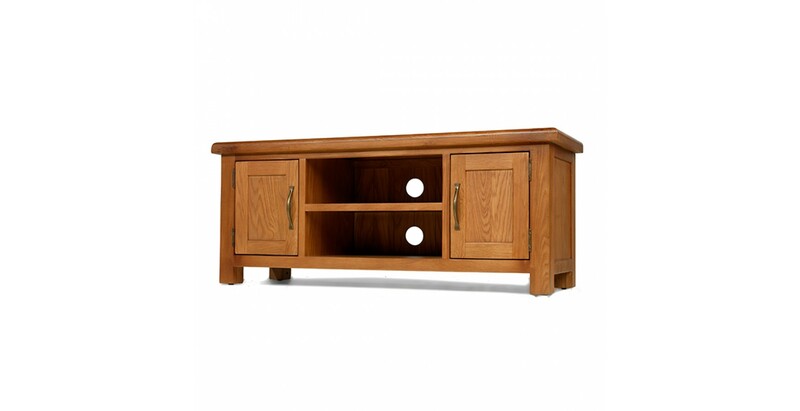 A pair of roomy cupboards adds additional storage for games, spare remotes, DVDs and cables and each has a removable shelf for extra versatility. 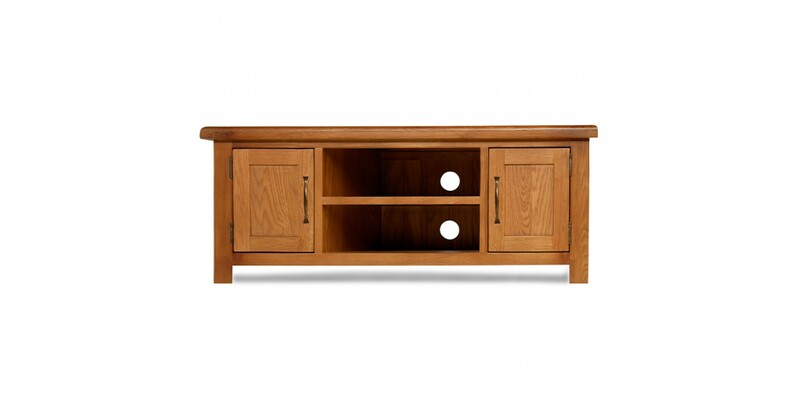 Brass-effect handles add a classy touch and the Wax Lacquer Finish shows off the timber's natural beauty perfectly.